Based on reader recommendations, I bought the Little Bear – Feel Better Little Bear DVD for Caroline many months ago. It was a great decision as it has become a favorite in our home. We’ve also since added Little Bear – Rainy Day Tales, Little Bear – Little Bear’s Band, and The Little Bear Movie. We’ve also enjoyed Little Bear – Halloween Stories from the library and it has one of the CUTEST episodes of all on there – “Moonlight Serenade”. Honestly, it isn’t just Caroline who enjoys them. I really like them as well and don’t mind sitting down and watching it with her. (We all love “Diva Hen”!) Some of the reasons I think I’ve stated before. I really like the music. I appreciate the slower pace. It is positive and sweet. But I realized the other day that there were two more reasons I like them that I hadn’t fully grasped. It looks like our family. Mother Bear, Father Bear, and Little Bear. While that might not sound terribly important, it is. In this day and age you rarely see a family with an only child. 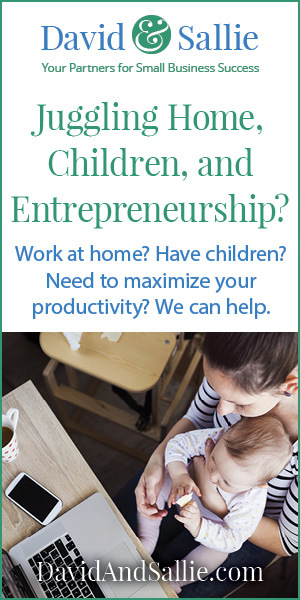 The other day I was going through a seven day free trail of a homeschool magazine online. As I was flipping through the different back issues available, I was struck how none of the families on the covers even closely resembled or represented ours. Big family after big family. There’s nothing wrong with that. I just don’t relate. I do relate to Mother Bear, Father Bear, and Little Bear. The other aha moment I had with the DVDs is that Mother Bear and Father Bear have a genuinely warm and even romantic relationship. They reminisce fondly about the first time they danced under a harvest moon. They sing spontaneously. They tell Little Bear about carving their initials in a tree. They are an example of a warm, loving couple that treats each other kindly and as though they are best friends. How often is that the case in a cartoon or even regular television? So we’re thankful to have these as a part of our lives. Caroline has genuinely enjoyed them and parts of them have become part of our family vocabulary. I have three more on our wish list that I hope to order over the next several months: Little Bear – Mother And Father Bear Little Bear – Exploring And Other Adventures, and Little Bear at Home. The Little Bear DVDs come highly recommended from me! 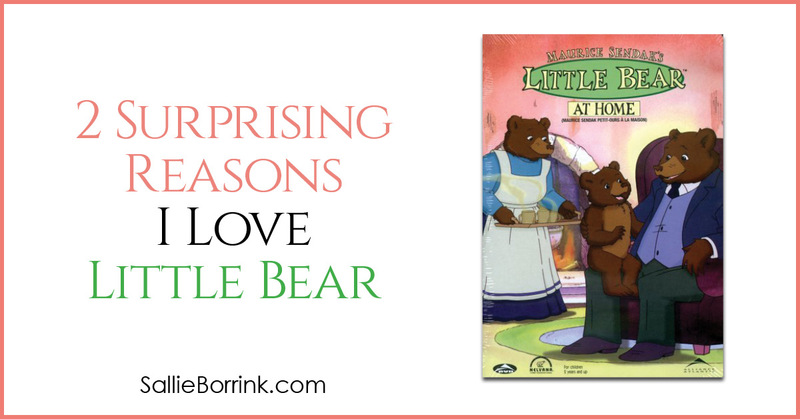 My daughter and I love Little Bear; it’s been my daughter’s favorite cartoon ever since she was a toddler. Whenever my daughter is sick and in bed with a cold, she always wants to watch Little Bear. I’ts not only fun, but a comforting show. I even used the Little Bear theme for her third birthday party. Like you, for the last five years, it was only my husband, myself and our oldest daughter, so we could relate to the ‘three person’ family; we now have another daughter that I hope loves Little Bear as much as we do. 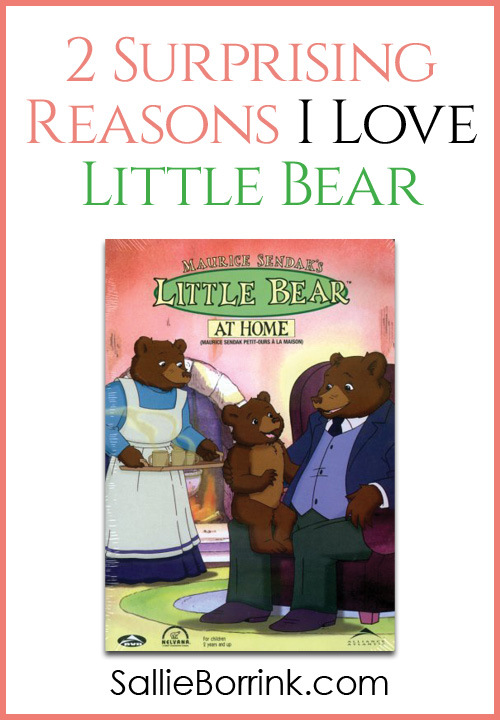 I hope you’re able to get the other Little Bear DVDs; we have them all. Aw, I never thought it about it that way, but you are totally right. Most of the other shows have at least 2 siblings.